Oneida, one of the world's leaders in kitchen and tableware products, has the perfect tools to get you through these special family meals ahead. They feature a wide range of products from cookware and bakeware, to dinnerware and flatware. Yup, they are you're one stop shop for all your culinary needs! Oneida was kind enough to send me their Dotty 65 piece Dinnerware Collection to review and I absolutely LOVE it!! Now I have so many plates in my kitchen, I don't know what to do with!! LOL. 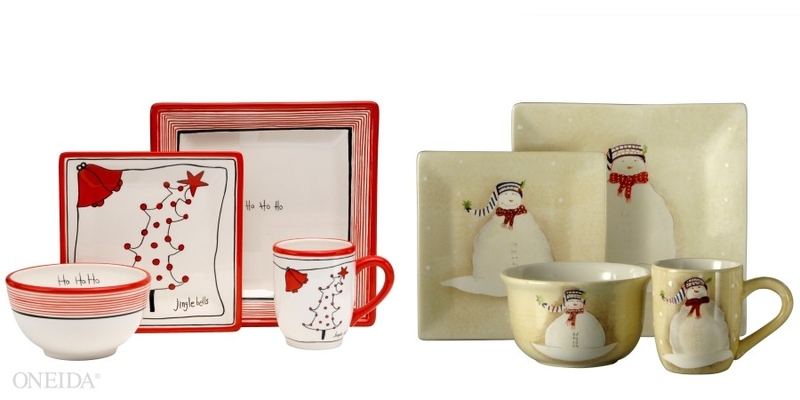 What I loved about the Dotty Collection is that it's simple and elegant. It features a band of raised circles creating a beautiful dot pattern. It's extremely versatile and you can use it year round or for special occasions. You can even completely change the whole look by adding a solid color plate giving it a bold, modern, feel or leave it as is, for an elegant understated look. The set I received comes with 12 Dinner Plates, 12 Salad Plates, 12 Soup Bowls, 12 Cups, 12 Saucers, 1 Sugar Bowl w/Lid, 1 Creamer, 1 Serving Bowl and 1 Platter. They're all dishwasher and microwave safe. They of course also feature some more fantastic sets including the ADORABLE Ho.Ho.Ho. 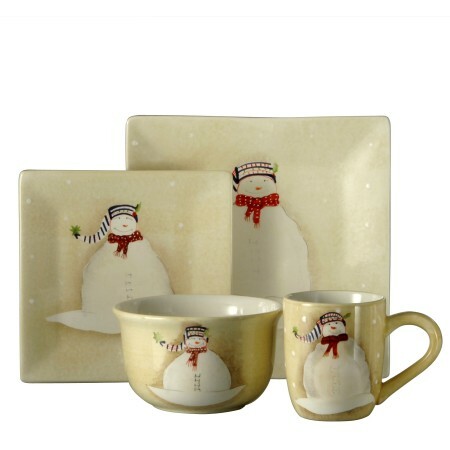 and Snowmates collection and the Iris drinkware collection that will liven up any table! Aren't they great?! 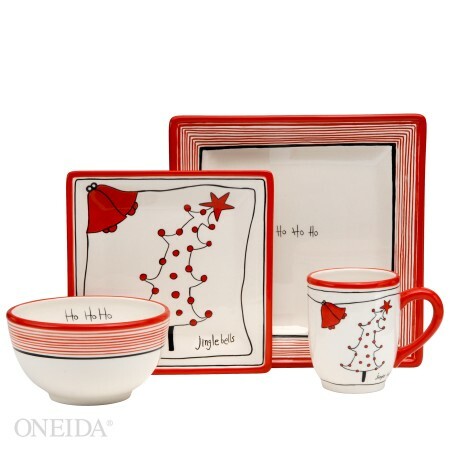 Make sure you check out Oneida this holiday season--I promise you will find something that you will like.